Learn a little math and have fun at the same time! 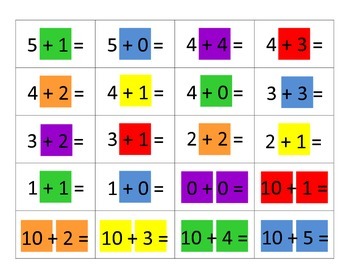 Great for math centers, indoor recess or down time at home or the classroom! 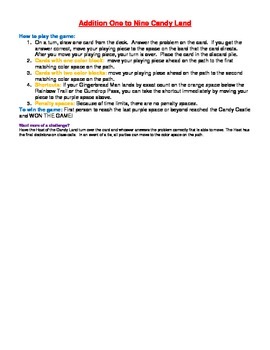 Three pages of a fun, yet educational, Addition One to Nine Candy Land game! 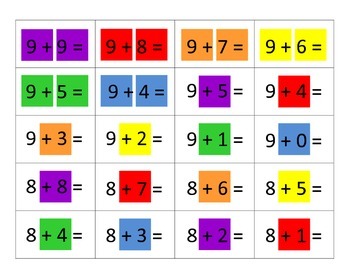 Three pages contain color square pieces with a different name addition problem. Print the color square cards on card stock and cut out. Place the pieces in a sandwich bag for organization. You can obtain a Candy Land game board for a couple of dollars at the local thrift or Goodwill store.